I like this one.... 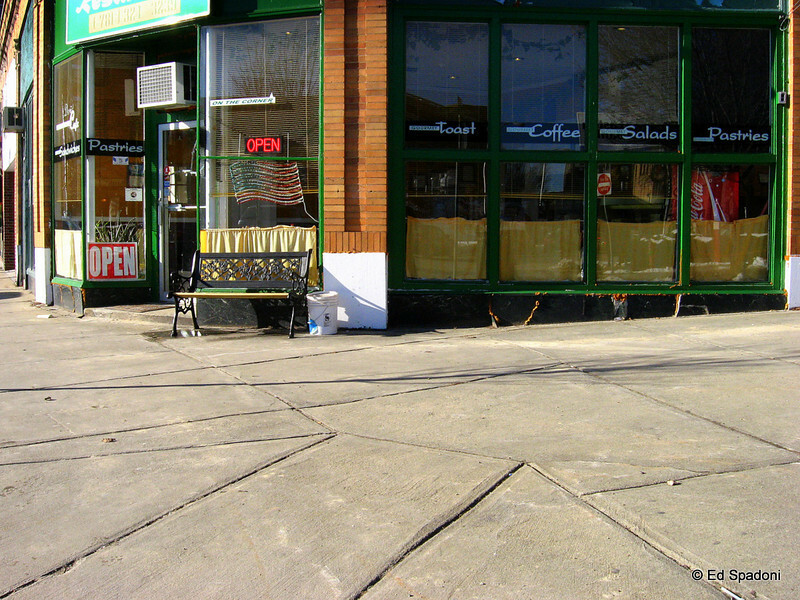 I like the lines in the sidewalk... and think I like the color better than B&W. Also gives a better overall feel of the coffee shop. Reminds me of a corner shop in Asheville, NC,... the Bean Street Cafe.